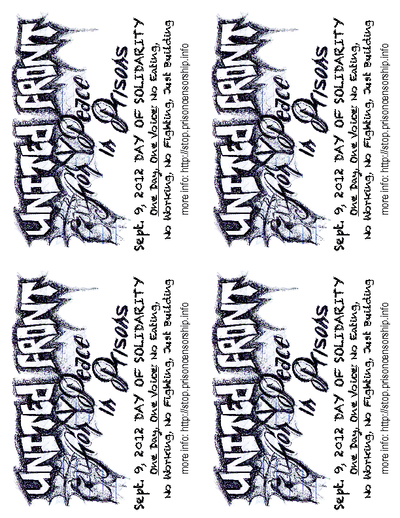 Supporters on the outside can use these two-sided, quarter sheet fliers to let the people know about the Day of Solidarity being organized across U.S. prisons for September 9, 2012. Just click the image above to download the PDF, print them out, cut them up and hand them out. Don't leave it to the bourgeois media to report on and define this movement. "I might be in some trouble. You don't know me and this is going to blow your mind. If I die in the next day Sr. Menendez in Unit 11 is responsible and probably the warden too. They are going to use inmates to do it. I threatened the warden with letters to the health department about blatant violations in the culinary and the way they do laundry and other things they are getting away with in here. If you hear of an inmate dying in the next couple of days don't let my death go in vain." Without addressing the veracity of this communication, it is disturbing for a number of reasons (aside from the obvious). First and foremost is the specter of the state's use of inmates (and I use "inmates" here in the most specifically derogatory and anti-revolutionary sense of the term) to do their bidding. That a prisoner who sought to expose an evil visited upon us all would then have to fear reprisal from fellow targets of the evil, at the direction of the oppressor, is treachery of a singularly despicable character. (This is nothing new, but its nature has become more dominant, as is discussed below.) This is aside from the actual violation of our most fundamental constitutional and human rights, the subsequent retaliation for exposing this malfeasance of prison officials and the complete and utter disregard and contempt for human dignity. This "tool" culture is becoming increasingly prevalent. Today, not only do we revolutionary and activist prisoners have to combat the oppressors themselves, but we must overcome their minions within the ranks of the oppressed as well — we must be ever vigilant against their agents among us. Not in the ordinary sense of infiltrators and narcs, but a whole culture of puppets, sympathizers and panderers intoxicated by imperialist fictions. What is truly frightening about this new breed of traitor is this fact: they want no recompense for their treachery. They believe in the rightness of the betrayal. They believe in the rightness of their loyalty to the oppressor, the enemy. These "people" are not seeking gain. They are an enemy cadre, steeped in enemy thought and ideology. They are (in the truest sense) patriotic Amerikkkans. Doubtless, the state creates deprivations and uses these deprivations as bargaining chips to enlist the aid of petty snitches and unsavories of all types. That is never going to change in or out of prison. That is not the same animal. What is named here is a devoted enemy, an unrecognized and unofficial extension of the state in both thought and deed. We must be aware of this counter-revolutionary element and be prepared to deal with them as they arise. There is increased urgency for A) the unification of all revolutionaries and activists regardless of race, religion, gender, custody, set or hood; B) critical analyses of the battle field without set mentalities; and C) application of the principles and theory which arise out of critical analyses. We must rethink our strategies and possibly our associations and act based upon what we have been taught by our conditions, not by what we feel or desire. 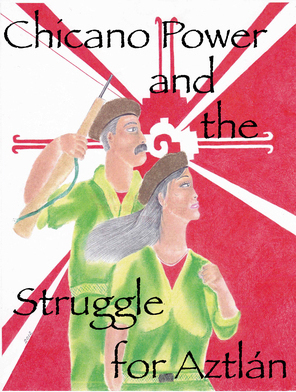 The local conditions as applied to the global struggle should advise us — not predilection. The only reason why we have remained oppressed is the enemy's effective and continuous infiltration and dis-empowerment. It is the enemy's ability to disunite and exploit this disunity, which provides them with a critical advantage. These are textbook guerrilla tactics which continue to work and reinforce the need for a steel-willed revolutionary vanguard. As such, we must immediately re-evaluate our objectives and tactical assessments, and evolve to meet the pale of the enemy. This requires that we take a long hard look at our environment and account for this emerging class of "enemy combatants." A friend of the enemy is still an enemy. MIM(Prisons) responds: We recently announced a day of solidarity for the United Front for Peace in Prisons, which in part is about promoting the five principles to discourage the kind of petty back-biting where prisoners will sell out for small favors from the pigs. But this comrade brings up a good point, that not all prisoners can be won over. The divisions created by the oppressors are not just individuals bought off to carry out individual reactionary acts in exchange for favors, but also individuals who buy in to the Amerikan political ideology and truly support imperialism as a system. Both groups are dangerous to the movement. We must protect ourselves from these people, both by trying to turn them to the side of the oppressed while exposing them and avoiding their traps and aggression. 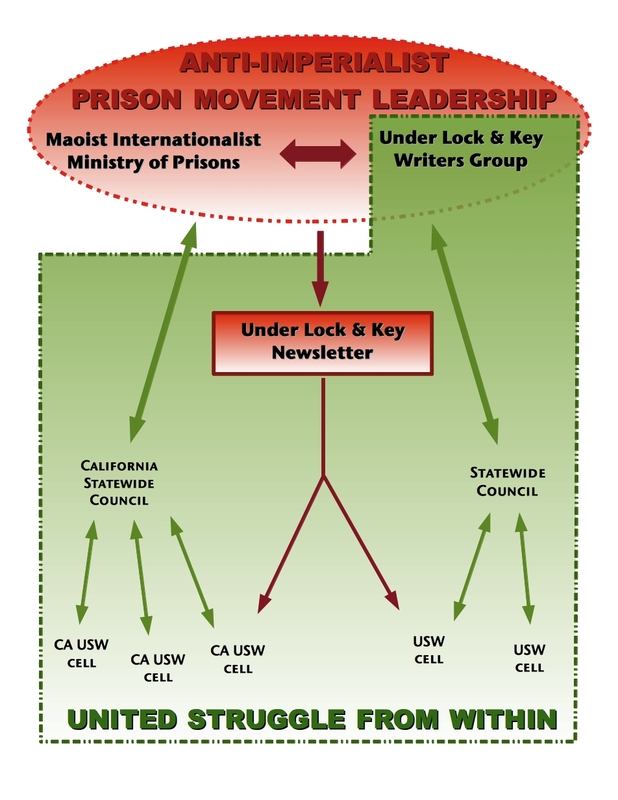 I'm writing to contribute to the continuing exposure of the California Department of Corrections and Rehabilitation (CDCR)'s corrupt capitalist-imperialist system locking up human beings in long-term solitary confinement for decades. As we know, the anniversary of the 1st hunger strike just passed 1 July 2012. We must remember the three soldados who lost their lives in this battle for our basic human rights and to end all indefinite isolation units (SHUs and Ad-Segs). And to all who participated and those who gave and continue to give us moral support over our torturous and inhumane conditions of being segregated and placed in solitary confinement, known as CDCR's SHUs and Ad-Segs "Crypts", indefinitely with no rights or due process. It's also very important we don't forget about the women and girls locked up in women prisons, Central California Women's Facility Chowchilla, Valley State Prison for Women, California Institution for Women, White Oaks, CRC, etc. I can't imagine the hardships and torturous conditions these women/girls have to endure. I would bet my life on it that thousands of these women/girls are also locked away in isolation confinement crypts. So let's walk side by side with our equal counterparts women and girls who are being isolated to indefinite SHUs, where concerns around living conditions of mental/physical torturous behavior fall on deaf ears. I know this first hand because I've been in solitary confinement indefinitely since 1993 and counting. All we're asking for is to be treated as humans. Our 5 core demands are very reasonable. But as the world now knows, California CDCR continues to deny that we are human by placing us in their "crypts" based on lies and making it a priority that we don't get basic necessities: medical, mental health treatment, human contact with our family, and sunlight. 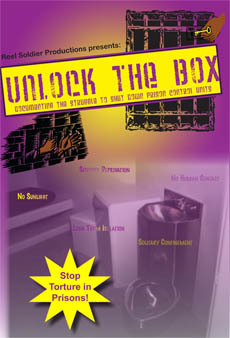 I ask everyone who is a part of this struggle to join the fight to eliminate unjust solitary confinement. The prisoncrats will never admit they are terrorist dictators who are allowed to run California's prisons with no honest oversight or accountability for their terrorist ideology, behavior and actions. They falsely use so-called "prison security concerns" to label thousands of human beings as prison gang members or associates to justify decades of isolation practices. Attorney Peter Schey, from the Center for Human Rights and Constitutional Law, has filed a petition to the United Nations concerning our solitary confinement. There is also a separate federal civil rights action in motion. This will take time, as we know how the court system operates. Don't give up hope, this is gonna be a long battle and journey. A lot of us are stuck in these "crypts" until real change comes. It's up to us to protect the new generation - so they don't have to go through torturous inhumane isolation. Myself and the Revolutionary Order I am co-organizing would like to formally join the United Front/USW. We recognize the 5 principles as essential and they are also woven into and throughout our structure. We are WOMMB (Warrior's Order Mobilized for Maximum Building) and we're focused on personal/social liberation and personal/social re-building, beginning with ourselves and fellow prisoners. Our methods and curriculum will center on rites of passage and initiatory values and structures. We aim to awaken the population, instill discipline, build character and destroy the bourgeois/slave identity. There are codes of conduct to voluntarily follow and a host of topics to be studied and mastered. I will enclose our communique and 5 point plan/mission statement so that you will have a complete understanding of our position and goals. We are seeking a relationship/partnership of solidarity, mutual assistance and collective planning and organizing. We would like to know more about MIM(Prisons) and how we can be of service. I don't want to sound rude or suspicious about MIM but I have to be straight up with you about how I feel pertaining to your activism. I am concerned you have been already infiltrated or you're a CIA front organization claiming revolutionary organizing. I hope I'm just assuming things, because I have been corresponding and studying with you for several years. A lot of strange suspicious things happened to me like the prison guards and other staff trying to cross me out or set me up, or maybe the COINTELPRO is trying to discourage me. How come every time somebody gets involved with MIM it seems like that person gets either killed or in big trouble? Seems to me someone infiltrated your movement. MIM(Prisons) responds: It's important that everyone approach security and organizing as carefully as this comrade does. We know that revolutionary movements are infiltrated all the time, from Lenin's COMINTERN to the Black Panther Party to MIM and beyond. The best we can do is force our comrades to demonstrate their correct line in practice, and never take people's word for their revolutionary commitment. If someone claims to be a comrade but puts forth a dangerous line (i.e. pushing people into armed struggle that will get them killed and set back the movement), or talks a lot but never does any work, we should view them with suspicion. Similarly, it's good to question why repression comes down on you after association with an individual or organization. In prison, unfortunately this could just mean you are working with a genuinely progressive outside group, as the authorities can read all your mail and will punish you for working with such groups. We have countless examples of progressive organizations being labeled "security threat groups." One of the reasons we encourage organizing in a cell structure is to limit comrades' exposure to others. You can do good work with people at arm's length, forming cells with those you know and trust. 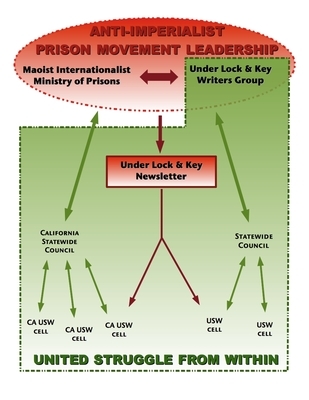 But in most cases, we recommend comrades in prison stay in touch with MIM(Prisons) (and others), despite the risks, because of the need to access both theoretical and practical information to help you organize. The danger of infiltration wherever we are is why we disagree with many who say we should only work with prisoners in general population and we should isolate SNY prisoners. 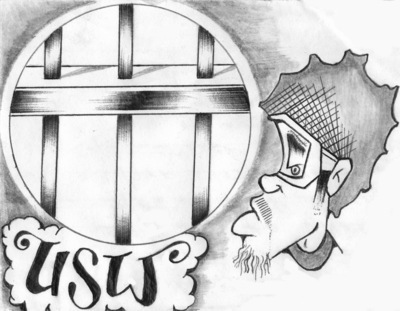 In our article on "Security in the Prison Movement" we argued, "We see this as a line struggle. Anyone can pretend to be USW inside, just like anyone can pretend to represent MIM(Prisons) or Maoism. If they uphold the line set forth by the vanguard organization and/or movement, then they're out there working to advance the struggle." Everyone should approach working with groups claiming revolutionary politics with caution. It is possible the CIA is producing Under Lock & Key or other publications like it, just to identify the "trouble maker" prisoners. But if you read the pages of ULK you should be able to determine if the line and actions of our members and supporters are correct. In the end, if the CIA really was behind this good publication and its good work, we might be getting more out of that infiltration than they are.